STRV is a one-stop mobile app, web and backend development shop which was set up in Prague, then expanded to the US market and currently is a leader in its product category on the West market and in Europe. The company develops first-class products for top-tier startups and it is a preferred partner because of the high-quality code, sleek designs and super fast turnaround. Behind the development of all the high-quality products, there is a skillful team of developers and designers. Till a couple of months, the team has been situated in four offices: in Prague, San Francisco, Los Angeles and New York. However, following their long-term vision of having multiple offices in different places, STRV has just opened a brand new office in Brno. Currently, they are also expanding their Prague office. After testing the waters, STRV were happy to find out that Brno is a great pool of technical talent. The company has attracted a lot of skillful developers and designers who are eager to work for it but who are not keen on the idea of moving to Prague. “This is the very first city where we actually have a decent development team because in the USA we have mainly sales offices and there are just a couple of developers. In Brno we already have a team of around 20 people which is not so small. We see huge interest from local people and foreigners living there to work with us”, comments Lubo Smid. Although Brno is an IT city and a lot of big IT companies operate there, they are not huge competitors for STRV. The reason is simple – they just offer totally different concepts of work. The company tries to bring new approach to the development as putting strong emphasis on company culture. STRV strives to create a team that fits well together, a team that enhances the overall company culture. “Company culture is not about set of rules that you follow, the culture is about the community of people that we have on the team. We have put a great team together so far and we want to keep it this way, that’s why we do a lot of screening before we actually let someone join our team”, says Lubo Smid. Why is it worth joining STRV’s team? STRV’s unique proposition to potential employees is hidden in the real opportunity for working on first-class projects for top Western startups. 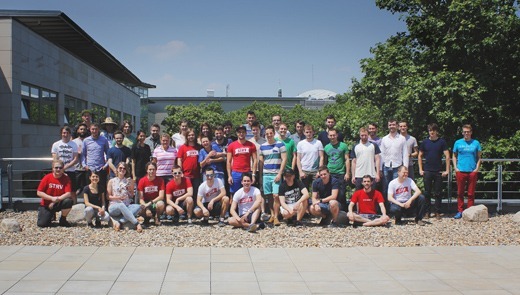 There aren’t many companies in CZ which could offer such an opportunity to their employees. Moreover, people working for STRV could be described as free and happy employees. They enjoy a total freedom in the company: this is not a standard 9 to 5 job, everyone defines by themselves when to come to work and when to leave; bureaucracy is kept at the bare minimum and there is not a strict structure within the team where a lot of managers supervise the work of every single employee. However, in order to ensure the smooth working process, STRV’s employees should have strong communication skills. Although STRV’s staff members have a lot of personal responsibilities and should work well both independently and in a team, they enjoy an international and relaxing working atmosphere. At this point, people from 18 nationalities form the whole team of the company. STRV’s co-founder team would like to increase that number in order to have as many different cultures in their team community as possible. They are always happy to offer a job to any foreigner for whom Czech is not their native language because it helps them to create diverse English speaking environment. 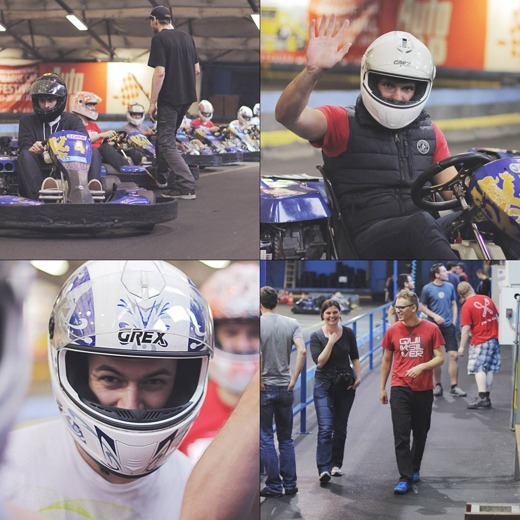 Apart from cultural interaction, STRV’s employees enjoy different perks. For example, in Prague’s office the team likes to combine work and leisure. They like playing games on Xbox or having lunch together every Monday delivered by one of the startups which STRV runs – Ordr (https://www.ordr.cz/). In addition, the company organizes regular events to share the knowledge between the teams in the field. They invite people from Western companies who hold inspirational talks. The events take place in both Prague and Brno. Concerning the main requirements about joining STRV’s team, there aren’t any unexpected conditions. The potential employee should have good technical skills – it is really important that the people meet the technical criteria that the company needs for the particular position. Another key skill is communication. The candidates should have strong communication skills as well as complete fluency in English as the company is focusing mostly on cooperations with West companies. Already interested? Don’t waste your time! Apply now for one of the open positions within STRV and get the chance to join the most awesome team ever! I am actively seeking Sr. IT role in any location in EU. I have 20 years (14 Months in Tokyo) experience in IT Infrastructure role and currently working in IBM, India. I am open and flexible with job role, salary and location.